The conversational format was excellent, especially as both writers are extremely – and in Harding’s case, surprisingly – funny (Paul Harding is the author of the Pulitzer Prize-winning Tinkers, a lyrical but decidedly un-cheery book), and McCracken taught Harding at the Iowa Writers’ Workshop, so they know each other well. Harding, a former drummer (?! ), asked how McCracken settled on the sequence of the stories in Thunderstruck. They are not organized in the order she wrote them, but the oldest, “Juliet,” is first, and the newest, “Thunderstruck,” is last. They talked about the recurring themes in McCracken’s work, particularly loss and missing people. “I just repeat the same things over and over again,” said McCracken. “A finite deck that you keep reshuffling,” agreed Harding, but while “it’s easy to keep most stories at arm’s length if you want to,” that’s impossible with McCracken’s work. She is fond of writing in the second person, which can be effective at drawing the reader in, but also has its risks. McCracken’s “you” is more generalized, though, and works well; she shifts from third person to second so smoothly the reader may not even notice at first (“Whatever you have lost there are more of, just not yours.”). She was self-effacing about Harding’s praise (“Anything I do is entirely accidental”), but I suspect there’s rather more to it than that. They moved on to talking about the writing process. “Writing is not a particularly efficient process,” said Harding; he compared it to archaeology, digging through the rubble and picking the best bits. They talked about truth in fiction, and the “distinction between imaginary and factual truth.” McCracken, with good humor, called it “aggravating” when something she had made up turns out to be true. How do you shift between the story and novel formats? “Writing a great short story is harder than writing a great novel.” She might one day write a great novel, she said, but “I am never going to write ‘A Good Man is Hard to Find. '” While that point is indisputable, and it’s true that Elizabeth McCracken is not Flannery O’Connor, this overlooks the fact that she is Elizabeth McCracken, and many readers would respectfully argue that she has already written great short stories. Do you write poetry? “I used to write poetry. It was really bad.” She would go to poetry readings and become inspired to write poetry, but then realize, “I don’t want to write poetry; I want to write that poem you just read.” She said, “Poets are better at leaving things out.” Dream Songs by John Berryman is a favorite collection of hers. Somewhere, a dog barked. No, it didn’t. Only in novels did you catch such a break, a hollow in your stomach answered by some far-off dog making an unanswered dog-call. Dogs were not allowed at Drake’s Landing. Still, surely, somewhere in the world a dog was barking, a cat was hissing, a parrot with an unkind recently deceased owner was saying something inappropriate to an animal shelter volunteer. Outside, in the light from the Drake’s Landing floodlights, the snow sparkled like something that wasn’t snow. Diamonds, or asphalt, or emery boards. How has teaching affected your writing? She replied that she had included the cliche sentence “Somewhere, a dog barked” because Ron Charles had said something about it on Twitter and, being “so bloody-minded,” McCracken wanted to include it in her next book. I couldn’t find the original Twitter exchange, but I’m calling this McCracken 1, Ron Charles 0. Why did you choose “Thunderstruck” as the title? 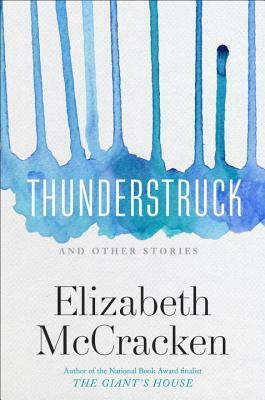 “I really like past tense verbs.” She’s interested in “what happens right after a disaster.” She also pointed out a strange fact: thunderstruck is a word, but lightningstruck isn’t – even though thunder doesn’t actually strike and lightning does. Overall, an absolutely lovely evening. I’m so glad I got the chance to see her speak! 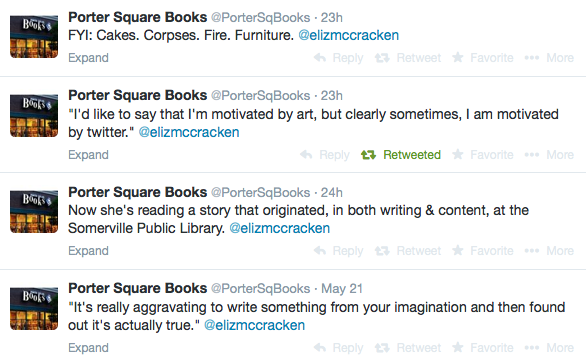 Someone at Porter Square Books was live-tweeting the talk. *Edited to add 5/23/14: So there you have it! Annie Cain, Matt Phillips, and Jeff Goldenson from the Harvard Library Innovation Lab presented some of their recent projects. Cain started off by introducing Awesome Box: the Awesome Box gives library users the opportunity to declare a library item (book, audiobook, movie, TV show, magazine, etc.) “awesome” by returning it to an Awesome Box instead of putting it into the book drop. Library staff can then scan the “awesome” items and send them to a custom website (e.g. arlington.awesomebox.io), where anyone can see the “recently awesome” and “most awesome” items. Instead of librarian-to-patron readers’ advisory, it’s patron-to-patron/librarian. Cool, fun, and easy to use! “Awesome” books can also be put on display in the library. Goldenson floated the idea of a Library Community Catalog, inspired by the Whole Earth Catalog. The Library Community Catalog could contain real things, ideas, speculations, interviews, or other articles. It could be “hyper-local,” in print and/or online. Of the three ideas presented, Awesome Box is definitely the most developed, and Harvard, which “isn’t necessarily known for sharing,” is eager to get it into public libraries. Contact them if you’re interested in setting it up at your library! Readers First is “a movement to improve e-book access and services for public library users.” Kelvin Watson from Queens Library and Michael Santangelo from BookOps presented an update on this initiative, explaining the work that’s been done thus far and how far we have to go. The more people (and libraries) sign on, the stronger the team, the better ability to effect change. Already, said Santangelo, Readers First represents over 20 million readers. It’s worth going to the Readers First site (link in the previous paragraph) to read their principles. The two main challenges regarding e-books in libraries are availability and discoverability/access. Availability is an issue with the publishers; the issues of discoverability and access can be taken up with the vendors. Because libraries are only indirectly connected to publishers, but directly connected to vendors, Readers First decided to focus its efforts on the discoverability/access challenge. Santangelo said that Ranganathan’s Five Laws of Library Science applied to e-books also (save the time of the reader, (e)books are for use, etc.) and that libraries have a responsibility to ensure open, easy, and free access to e-books the same as we do for print books. However, the e-book experience now is fragmented, disjointed, and cumbersome, creating a poor user experience. This is where the four Readers First principles come in: readers should be able to discover content in one comprehensive catalog; access a variety of content from multiple sources; interact with the library in the library’s own context; and read e-books compatible with all e-reading devices. A Readers First Working Group sent a survey to vendors in order to create a guide to library e-book vendors. This guide will help librarians who are choosing an e-book vendor for the first time, or moving from one to another; it will also help vendors design their systems and decide what to prioritize. Watson said that libraries should see vendors as partners, and challenge them to “do the right thing.” Librarians should hold all vendors accountable to the Readers First principles, with the end goal of a seamless experience for the user. The long-term objective, said Michael Colford of the Boston Public Library, is to “have the discovery layer be the platform.” Until then, we’re relying on APIs. “We can make things less complicated, but we can’t make it easier,” said Santangelo. Deb Hoadley presented an update on the Massachusetts E-Book Project on behalf of the Massachusetts Library System. I was already familiar with the project because Robbins is one of the pilot libraries, but it was good to review the history, see where the project had hit snags, and hear from other librarians at pilot libraries (Jason Homer from Wellesley and Jackie Mushinsky from WPI) about how they had introduced the project to patrons. You can read about the project’s history, the RFP, and see updates on the website, so I want to use this space to draw a parallel between the MA E-Book Project and Readers First. Although the pilot consists of three different vendors (BiblioBoard, Baker & Taylor (Axis 360), and EBL) with three different models, the end goal is a single e-book platform that offers integrated and seamless discovery. Any Massachusetts resident would have access through this user-friendly platform to e-content that is owned – not licensed – by Massachusetts libraries; local content would also be hosted and discoverable. Clayton Cheever live-blogged this session; his notes are posted on the Teaching the Tools site. The panelists addressed these questions during the session. They all teach in their libraries, but the teaching takes different forms. “I teach to whatever question comes to the door, in whatever way the learner can understand it,” said Wick. Maturevich talked about printed brochures, online resources, and videos; Robins talked about beginner classes, one-on-one sessions, and “Wired Wednesday,” when patrons can drop in for tech help. Robins has also had reps from Barnes & Noble and Best Buy come in to help people with e-reading devices, and she often uses the resources at GCF LearnFree.org. Homer teaches intermediate classes in the Wellesley computer lab, and other Wellesley staff teach beginner classes. Clearly, there are many approaches, and flexibility is key. What to do when you offer a class and no one shows up? Wick and Litten talked about forming partnerships in the community. “We can be really useful to you in ways you didn’t even realize,” said Litten. “Listen,” Wick encouraged. Ask people, “What do you want? We’ll give it to you.” As for whether teaching technology is part of the library’s mission, Wick said, why wouldn’t it be? “We help everybody with everything else. Why aren’t we helping them as much as we can, more than they’re asking?” Find your audience first, said Wick, then design your classes. That’s all, folks! If you missed it, you can read about Wednesday’s sessions here (part 1) and here (part 2). Read a recap of the first three sessions of the day in Part One. Andrea Weaver developed the Bridges Together program, which brings different generations together. It has been used in school systems, and recently at the Goodnow Library in Sudbury, MA. Weaver started the session at MLA by asking the audience to think of their first memory of interacting with an “older adult” (OA). Many people mentioned grandparents, great-aunts and great-uncles, neighbors, or teachers. Then, Weaver asked what activity this interaction included, and people mentioned reading (of course – it was a room full of librarians), music, games, food, holidays, and gardening. The term “multi-generational” means that multiple generations are included; the term “intergenerational” indicates a skipped generation, e.g. grandparents and grandchildren. Demographically, there are more and more OAs, but there are fewer opportunities for interaction. Many kids now have little or no experience interacting with OAs, and that’s what the Bridges Together program aims to correct. OA volunteers are paired with children and they build a relationship over the course of several weeks. According to Weaver, these intergenerational programs help reduce or prevent ageism, increase compassion and respect, give kids a chance to learn about possible careers, give OAs a chance to reflect on their experiences and share their stories, and give kids (and OAs) attention. That’s it for the Wednesday sessions! Thanks to those who live-tweeted other sessions on Wednesday, especially Kristi (@booksNyarn), Anna (@helgagrace), Clayton (@cfcheever), Erin (@ErinCerulean), and Beth (@infogdss29). Thursday session post(s) coming soon. Some novels take place over the course of a day; some cover several decades. How much story is an author able to fit into 350 pages or 500 pages or 750 pages? How much they can develop their characters so the reader feels like they are real people? These questions point to the magic and the mystery of writing. A reader might pause on page twelve and wonder, How do I already know so much about these people? How did the author do that? Or the reader might be fifty pages in, thinking, Nothing has happened yet, but I sure do know a lot about nineteenth-century London. Some writers are economical; some are expansive. Either kind of book can be powerful. Gabrielle Zevin does a lot with a little. The Storied Life of A.J. Fikry is 272 pages, and it covers about sixteen years. A.J. is a widower and a bookshop owner on Alice Island; he has just told off a new sales rep, Amelia Loman, and is proceeding with his plan to drink himself to death when he discovers two-year-old Maya in his shop, accompanied by a note. Soon afterward, Maya’s mother’s body washes up on the shore, and instead of handing the baby over to social services, A.J. decides to keep her. “Shelf-talkers” for short stories serve as section dividers. These are addressed not to the reading public, but to Maya; the reason A.J. is writing these becomes clear late in the book. Maya’s history is also revealed: Lambiase discovers it (along with the valuable copy of Tamerlane that went missing from A.J.’s apartment just before Maya’s arrival) not through detective work but when he begins to date A.J.’s ex-sister-in-law, Ismay, after the death of her husband. 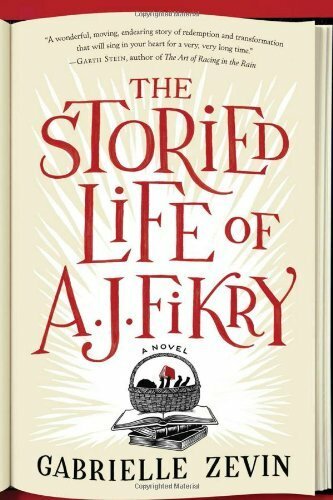 The characters in The Storied Life of A.J. Fikry are at once easy to slot into roles, and more complicated than they appear. Books and stories play a powerful role in all of their lives, and there is a good deal of book-related wisdom throughout this novel, delivered with a light touch. “We are what we love,” A.J. finally concludes. Most people who love books (and especially those who have ever dreamed of living in a bookstore) will like this one.